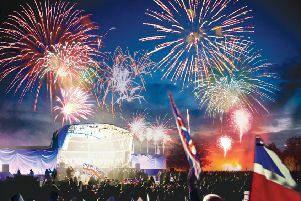 As the Royal Air Force approaches its centenary year, the Royal Air Force bands will be undertaking an extensive tour of the UK with concerts and other events to mark this special anniversary. However, also marking the 15 th anniversary of the RAF Music Charitable Trust, the charity will be organising its own concerts to also celebrate this very special moment in the history of Her Majesty’s Armed Forces. On Saturday, July 8, this musical celebration comes to Peterborough with a first ever RAF band concert at The Voyager Academy, featuring the internationally acclaimed Band of the Royal Air Force College along with their big band Royal Air Force Swing Wing. Based at RAF College Cranwell in Lincolnshire, since its formation in 1920, the Band of the Royal Air Force College is arguably the band which is most steeped in musical history and tradition, performing at a diverse range of venues and engagements across the UK and in countries worldwide. On parade, the Band has performed at the world-renowned Edinburgh Tattoo, Changing of the Guard at Buckingham Palace and was also the first RAF Band to change the guard at Edinburgh Castle. This year has also seen the Band perform for Her Majesty The Queen, unveiling the Iraq and Afghanistan Memorial, and also performing in a special tri-service Drumhead Service of Dedication on Horse Guards Parade, in London. As serving members of the RAF, band personnel routinely serve in Afghanistan, Turkey, Iraq, Cyprus and The Falkland Islands. To purchase tickets visit the website at www.rafmct.org.uk/events or contact The Voyager Academy directly on 01733 383 888.